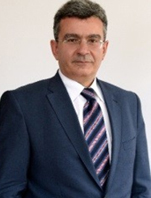 Panos Papazoglou is the Managing Partner in Greece since July 2010. Effective January 2011 he also holds the role of the CESA South Cluster Leader and effective July 2018 the role of the CESA Markets Leader as well. He has served as Head of Assurance in Ernst & Young Romania for two years and focused on the energy and technology sectors. He has also served as CMP and Head of Assurance in Bulgaria for three years. Panos Papazoglou joined Ernst & Young in 1988 and is based in the Athens office. He is a Qualified Accountant in Greece and Romania. He has extensive exposure to the international environment. Managed cross - cultural teams, in a number of sizeable assurance and advisory projects. He has sound management experience and supervisory skills gained over the 30 years of being involved in the accounting and audit profession. His technical experience is a combination of engagements across a wide range of services including financial audits, privatizations, initial public offerings and offerings of shares. He has participated in numerous engagements involving / leading multicultural teams as well. Financial audits on a number of European Commission funded projects in Greece. Panos was leading these financial audits executed in a number of public and non-public sector companies. He is a member of the BoD of American Hellenic Chamber of Commerce, member of the BoD of the Institute of Economic and Industrial Research and also member at the CEO Clubs and Endeavor.